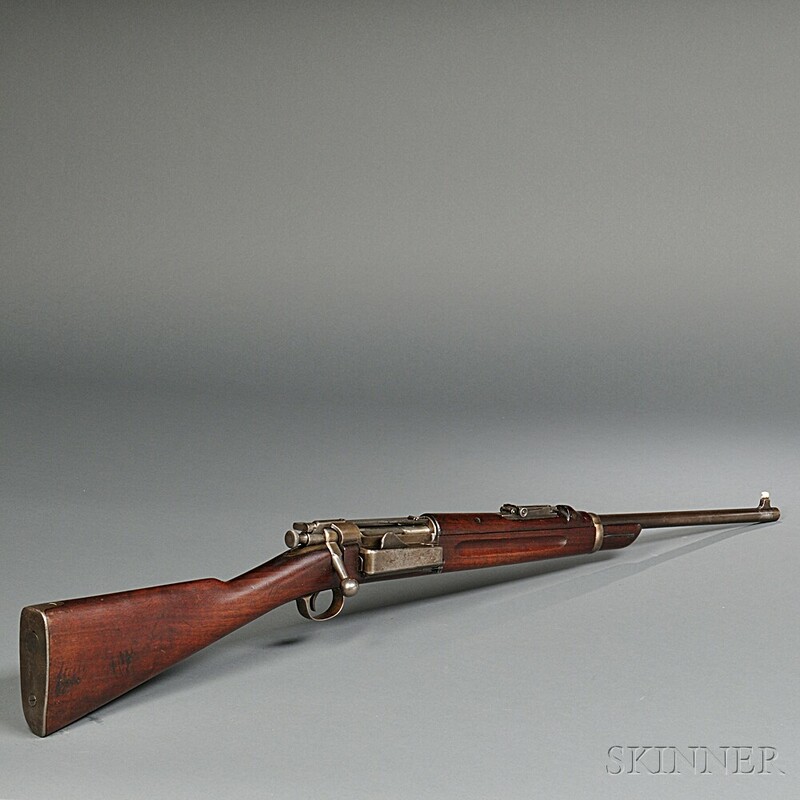 Model 1899 Krag Carbine, c. 1899-1902, serial number 345046, walnut stock, receiver marked U.S./MODEL 1899. 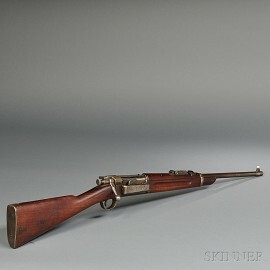 SPRINGFIELD ARMORY. 345046, barrel lg. 22, overall lg. 41 1/4 in. Stock has a few light dings and nicks, steel parts are a light plum color, action functions properly.